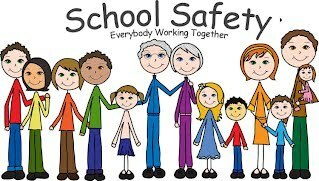 The forum will be addressing what is being done to enhance and promote school safety in the State of New Hampshire, the Town of Lyme and at the Lyme School. Topics to be discussed include state wide school safety protocols, state legislative action to address school safety, security upgrades at the Lyme School, and more. Lyme School Board Member Samuel Levey will be facilitating the forum. After a presentation from each of our speakers, parents and community members will have an opportunity to ask questions and share comments with the panel. **Childcare will be provided by the Lyme School Seventh Graders. ($5 a child, maximum $10/family). Please contact brigetteca@gmail.com if you will be needing childcare, as we need an approximate headcount.